Well here I am back in California getting some rest after a storming trip with The Cult on the ‘Alive in the the Hidden City’ UK and Eire tour before heading out for the first batch of US dates at the end of the week. It was a really busy time because as well as all the dates there was lots of interviews with the British press to support the album and tour driven by the great reviews and response to the shows. It’s always great to get back to the UK especially Manchester where I grew up and London where I truly began my career in music. That said all the towns and cities we visited have fond memories as it was playing those places in the early eighties that kick started the band towards the success we achieved over the years. I’ve had lots of really great comments both in person and online from people saying that these shows have been some of the best they’ve ever seen from the band and from my spot up front its felt that way too! I feel like my playing is as good as its been for a long time and the new guys Grant and Damon have slotted in perfectly. Starting in Austin at SXSW on Friday ‘Alive in the Hidden City’ gets rolling again so I hope to see lots of you at thses shows too! I’ve had a lot of questions about where else the tour will get to this year especially Europe, Australia and South America but all I can say is that there’s a lot of hard work going on behind the scenes with the band and our tour promoters so expect some news soon. Any dates will always be announced first at www.thecult.us. So make sure you keep following for the latest updates. 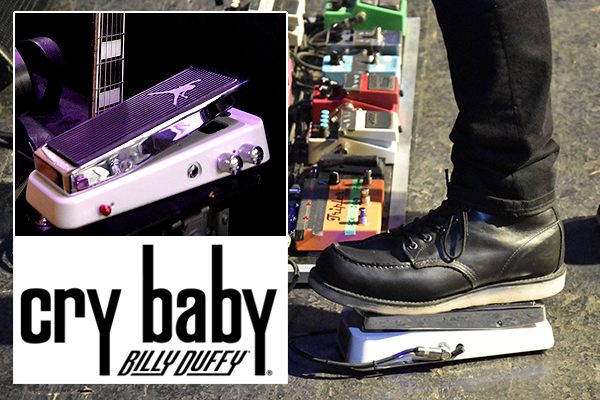 Those of you close up to the stage at the recent shows (or who have seen the pics) will have seen that my signature Dunlop Cry Baby Wah pedal has featured prominently in the set. 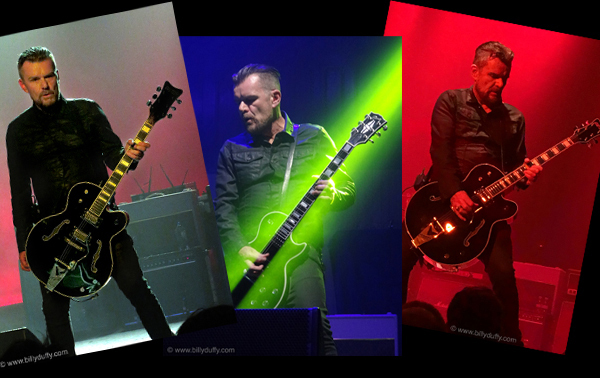 Anyone looking for a memento from the tour should check out my online store. As well as a large selection of signed photos this is the latest in the series of sold out signed limited edition screen prints. 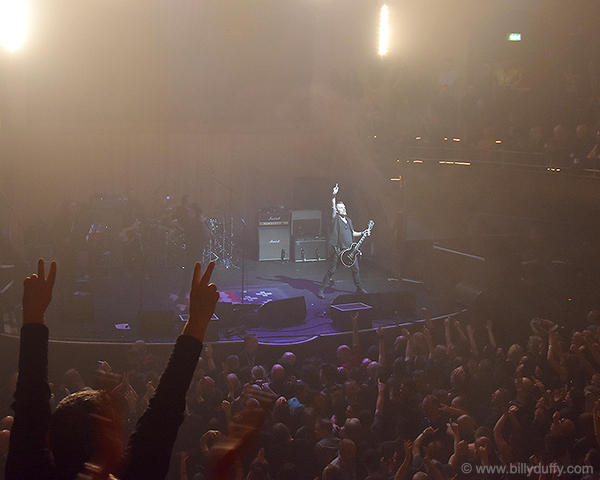 It is based on a photo taken of me by Mick Peek in Manchester with The Cult on the Electric 13 tour. Mick created this screen print as part of a pop up exhibition co-inciding with The Cult sold out show a couple of weeks ago. Measuring 56 x 76cm (image size 38 x 54cm) it is printed in Black and two tones of blue ink on high quality heavyweight 270 gsm fine art paper. It has been hand signed in silver pen by me as well as numbered and signed in pencil by Mick. 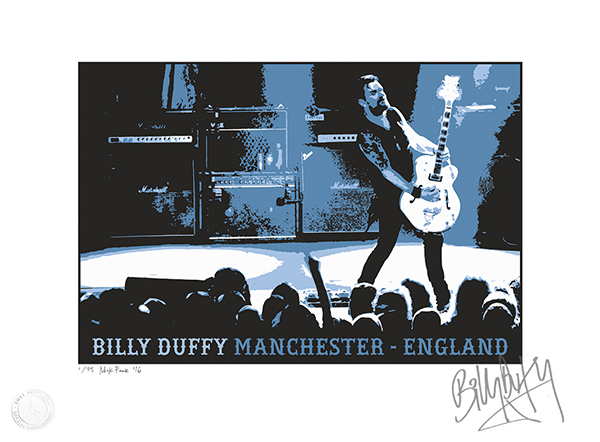 For authentication the print also features an embossed ‘Billy Duffy Official Merchandise’ logo.